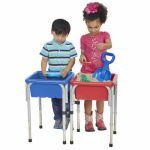 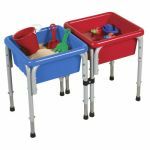 Promote tactile discovery, fine motor skills, and social interaction with the ECR4Kids® 2 Station Square Sand & Water Table with Lids. 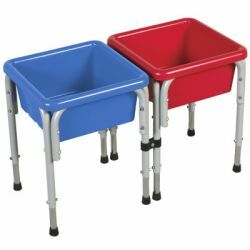 Each station features brightly colored basins that are removable for easy draining and cleaning. Translucent lids are included to keep sand, water, and toys securely in the unit when not in use. Stations feature strong steel legs that adjust to three heights: 20", 22.5", and 26". 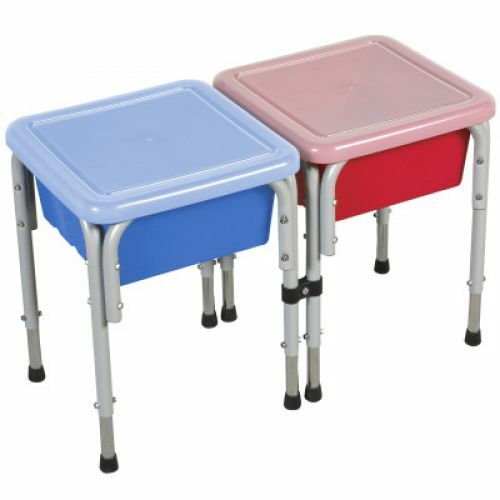 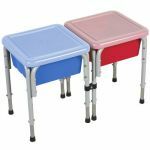 Connect a variety of ECR4Kids® Sand and Water Tables to make your own unique configuration.